KMK's date with data - #TableauConference2018 - KMK Consulting Inc.
Tableau is one of the ‘it’ platforms used by data visualization experts. 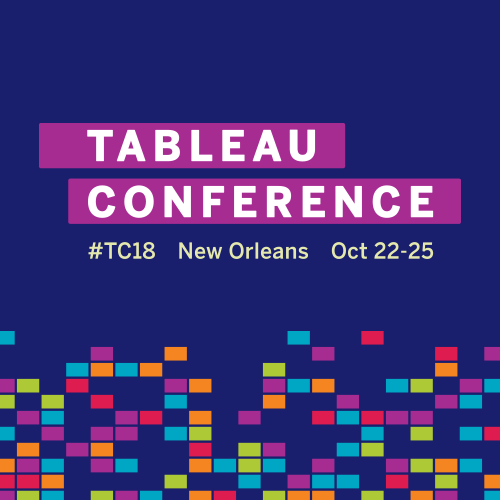 KMK, with a broad service offering with tableau, is now an official sponsor of the Tableau Conference 2018, happening in New Orleans from October 22nd to October 25th. Come over to the KMK Kiosk in the conference if you want to know more about our previous work with the platform and how we believe in utilizing our business intelligence and data visualization capabilities. Please click on the link here to know more about this data affair.